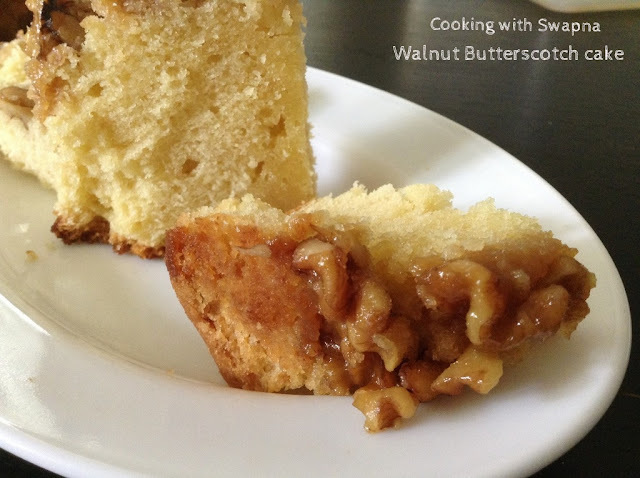 Cooking With Swapna: Walnut Butterscotch Cake !! 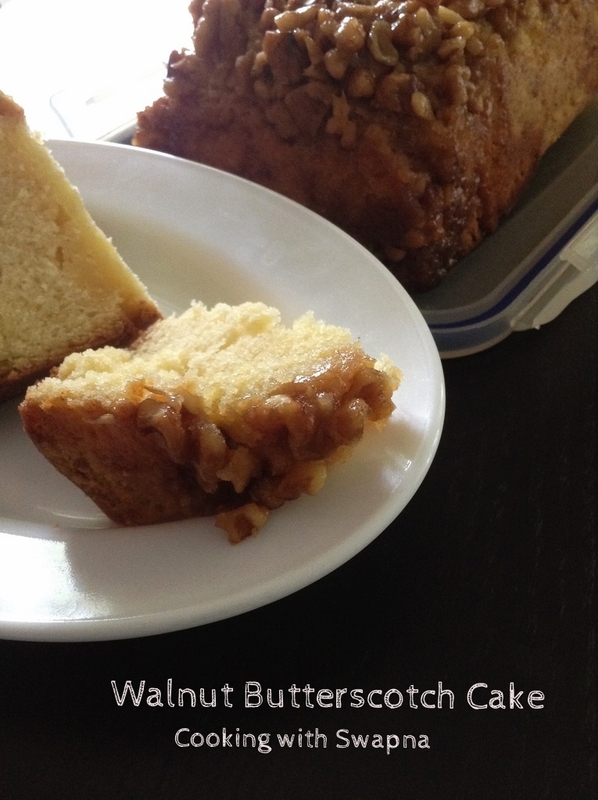 A sweet, deep and nutty walnut butterscotch cake is the perfect indulgent treat for any special occasion. 1. Lightly grease the baking pan and line base with non-stick baking paper. Preheat the oven to 190 C.
2. To make nut topping, melt butter, sugar and honey in saucepan. Stir in walnuts. Pour nut mixture into prepared tin. 3. 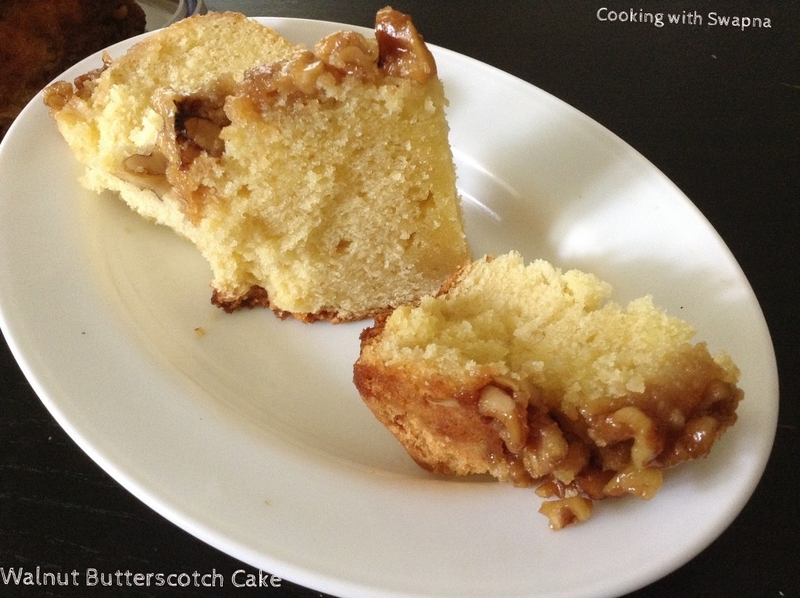 To make cake, sift flour, salt and baking powder. 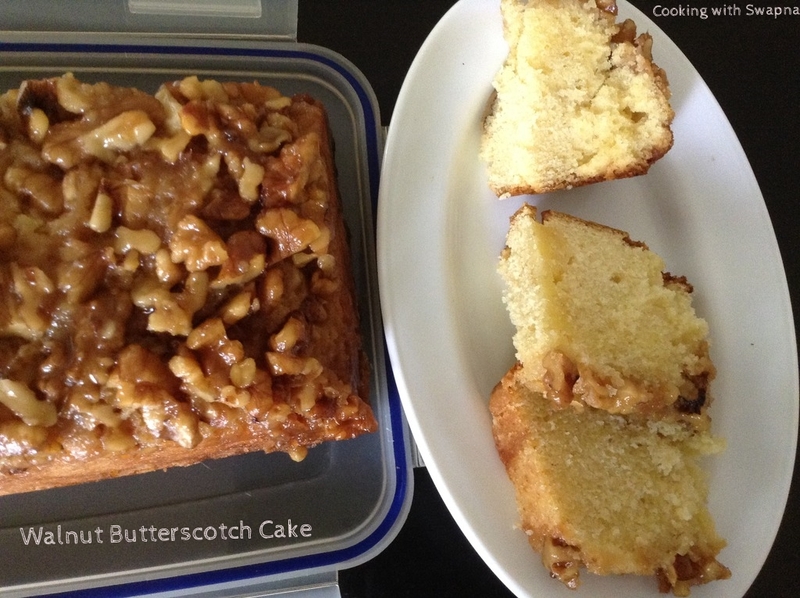 Rub in butter, add sugar and mix. Pour eggs into centre, add milk and vanilla extract and mix well. 4. Pour cake mixture on top of nut mixture. Bake for 40 mins, then reduce heat to 180 C and bake for further 20 mins. Turn out immediately onto a rack and remove paper. 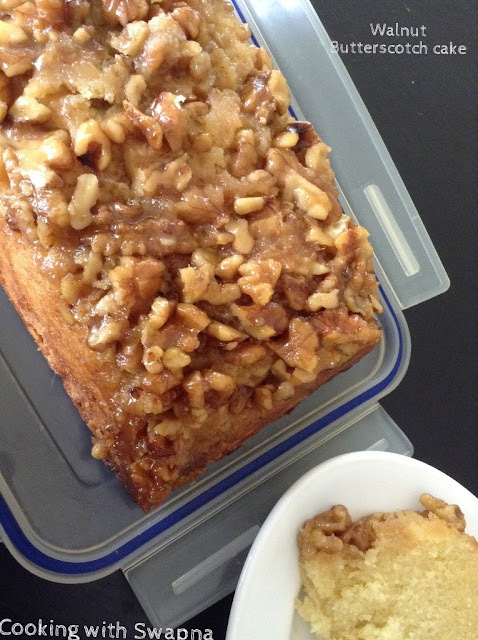 Replace any nut topping that comes away - it will set in position as it cools.